International Women´s Day? 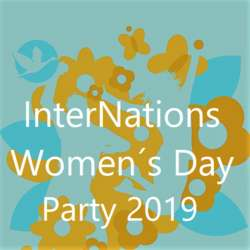 Let´s celebrate a big party, a peaceful and happy get together of all women and men in InterNations, an event for open minded people from all over the world! Enjoy networking, good talks and meeting new people from 21:00h-23:00h, when we keep the volume of the music down, and hit the dance floor when the DJ takes over later on! We are looking forward to seeing you on Friday!